Sometimes, when the big event is happening, I look elsewhere to make pictures — especially when the big event involves somebody at a podium. So, I look to the children. © 2013 by The York Daily Record/Sunday News. 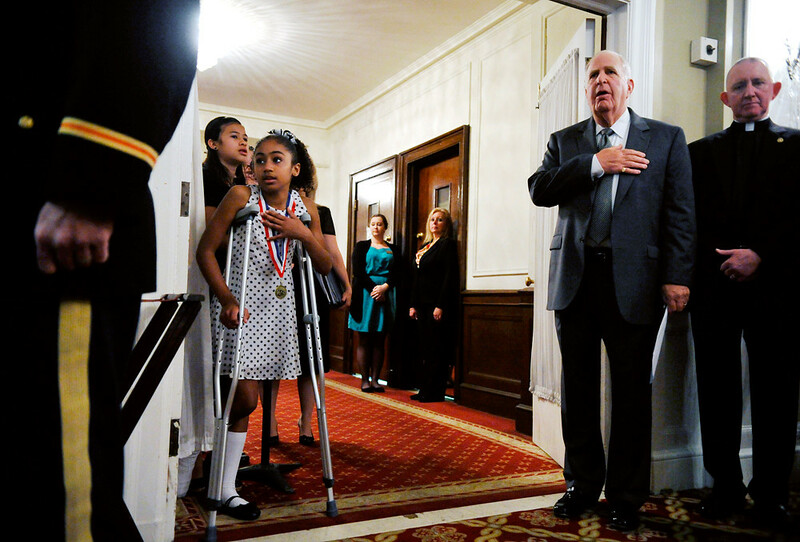 Goode Elementary fourth-grade student Demylee Perez leans on her crutches while pledging allegiance during the 21st annual Four Chaplains Prayer Breakfast on Wednesday, May 8, 2013, at the Yorktowne Hotel. Perez, who is a member of the school’s select chorus, received her leg injury in a minor car accident the previous day, but nevertheless showed up at the school Wednesday morning with her mother so she could sing at the breakfast. Major General Wesley E. Craig spoke at the 21st annual Four Chaplains Prayer Breakfast at the Yorktowne Hotel on Wednesday, May 8, 2013, while Hanover-based American Red Cross member Elizabeth Tyler received the Legion of Honor membership. © 2013 by The York Daily Record/Sunday News. 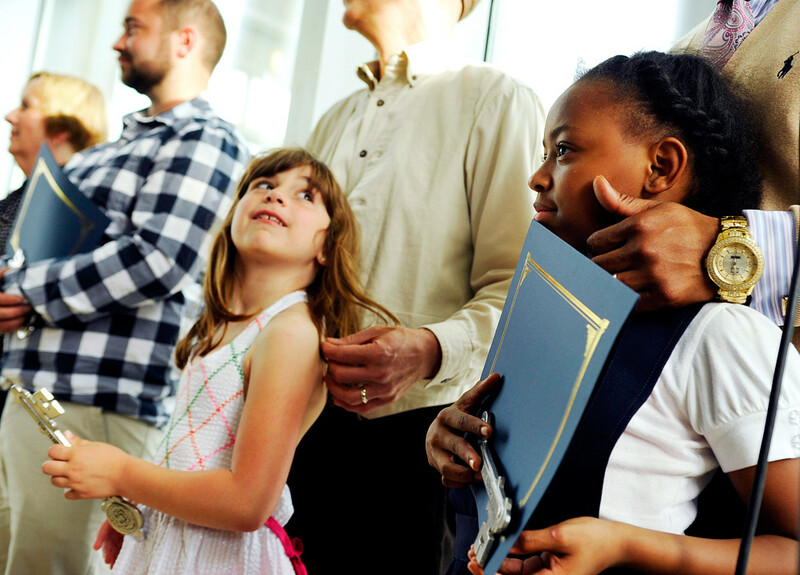 Leah Bazzle, 7, and Mia Johnson, 9, hold the keys to the city that were presented to their fathers David Uhrik and and Jamiel Alexander during the State of the City reception prior to York mayor Kim Bracey’s address at York College on Thursday, May 9, 2013. Uhrik received the York Humanitarian Award, while Alexander received the York Unity Award.